Welcome to the second half of our series on home decorating and design based on fashion. Just like in our previous article, we’ll discuss how you can translate the hottest trends of Fall Fashion Week 2014 into fresh and fabulous looks for your rooms this fall season. The cool and carefree vibe of the Sixties was definitely swinging on the fall fashion runways of Milan and Paris. Fashion houses Versace, Miu Miu, and Saint Laurent, dazzled audiences with their fresh takes on mini-skirts, trapeze dresses, knee-high boots, and graphic prints. From Valentino’s long tunics to Gucci’s mini-dresses, the irresistible allure of pale and powder pinks promised plenty of sweet, feminine allure this season. Eclectic Living Room by Jackson Kitchen & Bath Designers Grace Home Design, Inc. Adding an accent chair is a simple way to freshen up your interior. And nothing screams 60s more than sculptured furnishings. This eclectic living room features a five-legged yellow chair whose organic shape and acrylic construction call to mind the iconic Egg chair designed by Danish architect Arne Jacobsen. 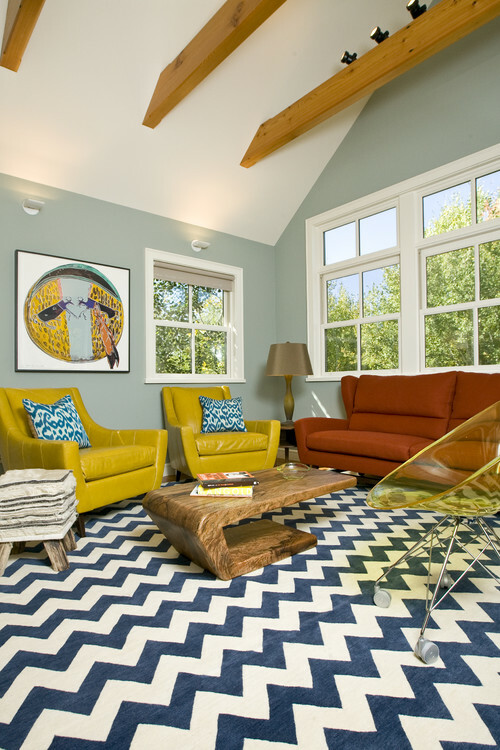 An asymmetrical coffee table and an Andy Warhol wall print reinforce the mod look without being overwhelming. 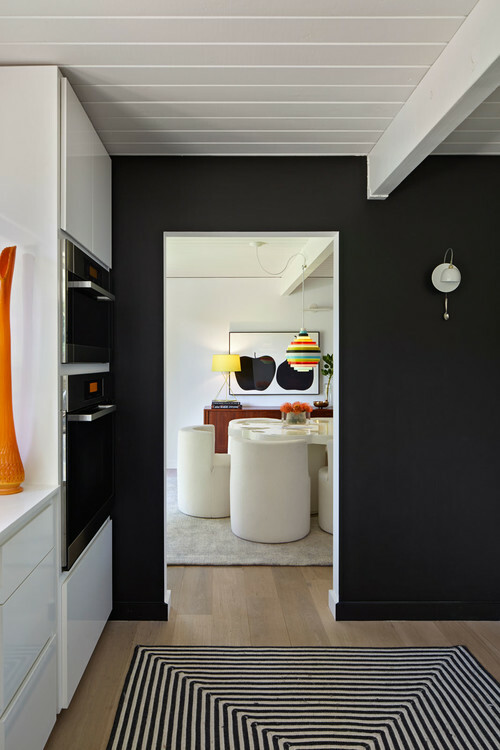 Similarly, a solitary decorative pink vase can bring a subtle yet striking touch of contrast to your contemporary black-and-white themed room. Speaking of black and white, this classic pairing also made a stunning appearance in the Fall 2014 collections of Stella McCartney, Roberto Cavalli, and Margaret Howell. Tying in nicely with the retro-Sixties trend, Dries Van Noten’s black-and-white striped coat is reminiscent of the dizzying Op Art movement of that decade. This mesmerizing style works just as beautifully at home. An Op Art-inspired rug is an ideal addition to a minimalist room, lending movement and kinetic texture without disturbing the stark beauty of the space. Op Art can be fun, especially in unexpected places. 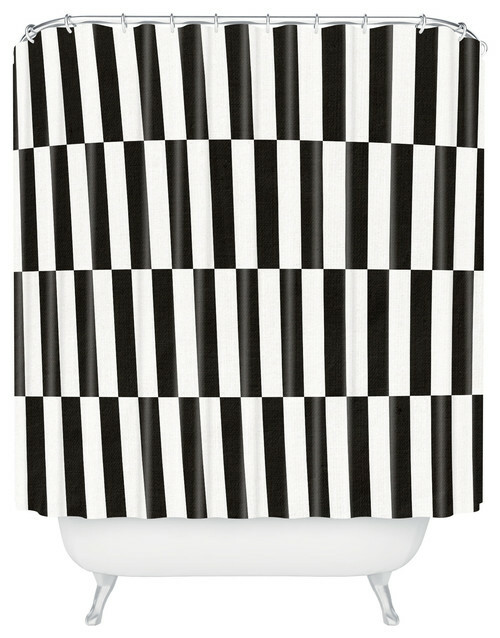 Install this eye-catching shower curtain around the tub, and make every visit to the bathroom extra cool and trippy. Chinoiserie is a European artistic theme that resulted from 18th century attempts to imitate Chinese porcelain. 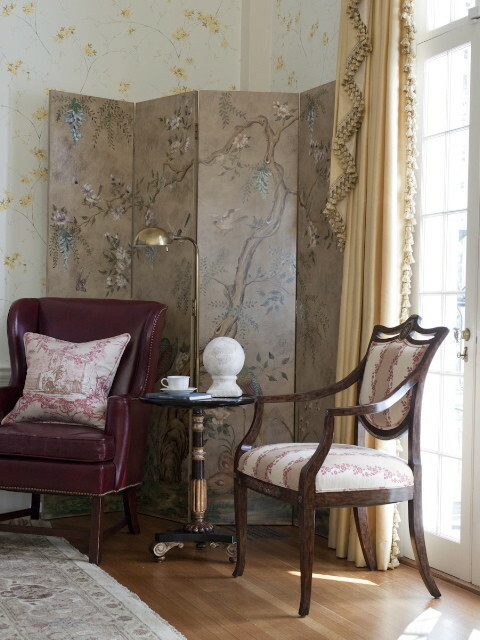 Widely popular with flappers fashion during the 1920s, chinoiserie has made a welcome comeback to the runways. Brimming with fanciful images of branches, birds, and florals, the Asian-inspired creations of Valentino and Anna Sui grace the fall season with modern interpretations of this timeless style. At home, quaint chinoiserie designs on sofa upholstery, wallpaper, or cabinets help instill a feeling of comfort and tranquility in any room. Positioned in a corner, this four-panel screen adds life and sophistication to an otherwise plain space. The anticipation for cooler weather made knitted wear a top attraction during Fall Fashion Week 2014. From The Row’s bulky, oversized sweaters to the sleek layered outfits of Calvin Klein, Marc Jacobs, and Derek Lam, 2014’s knitted collection promises fashionistas wearable fall fashion that’s softer and more comfortable than ever before. 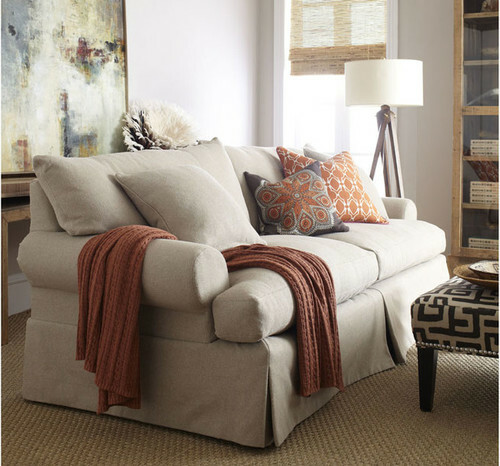 Keep things warm and stylish at home by draping a cable knit throw blanket over your couch or favorite easy chair. Large or small, knitted accessories add instant texture to spaces, so keep an eye out for thick weave pillowcases, poufs, and even the occasional lampshade or mug sleeve. If you’re looking for alternatives to traditional fall decorating, all it takes is a little inspiration from the latest fashion trends to make your home look fabulous for the season.